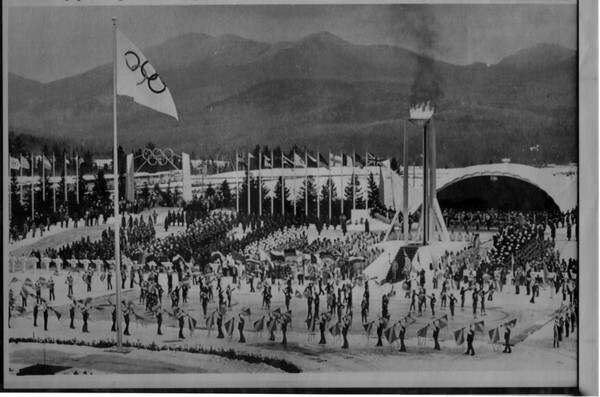 The adirondack Mountains soar above the Olympic flame and he festive ceremonies at the opening of the Winter Olmpics in Lake Placid. The teams of athletes are lined up on both sides of the torch stand while ice dancers are on the rink in front of them with banner carriers in front of them. The Olympic flag flies from the pole at the left.